The Cowen Family was part of the Mahwah Baseball family for many years. 4-11 : Rec baseball season games begin for Minors, Majors and Koufax after spring break. New To Baseball, or just need a refresher ? Take a moment to test your Bat knowledge. Comments are not specific to any product and are not an endorsement or critique of any product. Any reference to a specific product or brand is unintentional. When you buy a bat - leave the plastic wrapper on, until right before you take it to the field. Once the plastic is off, you own it forever. Bat technology and research is truly science. See the link next to sweet spots. Hitting dynamics are more than just the bat. Hitting lessons, and getting reps, reps, reps, are also important investments in hitting. Playing Mahwah Rec baseball assures all rec and travel players 12-16 extra games per spring season. Sweet Spot - is about 4-7 inches from the end of the barrel of the bat (see link)., and just a few inches long. It is the area of maximum performance, and limited vibration to the hands. Barrel Size - Diameter of the Bat Barrel examples are 2 1/4, 2 5/8 and 2 3/4. In Mahwah Rec you will need a 2 1/4 bat until you play Koufax. Only Mahwah Travel Baseball Players on 50/70 sized fields or above need to consider a Big Barrel bat, and that should be no greater than 2 5/8. (avoid 2 3/4). Swinging a big barrel bat does not guarantee a better hitter, but better hitters can take advantage of the larger bat head and weight at the barrel. Barrel Length - yep not all barrels are the same "length". Some barrels are "xtra long", aka "XL". Manufacturers claim it increase hitting area (sweet spot), but always swing a bat before you buy. More material might be good, but can also lead to increased weight of the barrel. Make sure any bat you choose works for you. Drop - this is the difference between length and weight. Displayed for example as -13. So a 29 inch bat with a drop 13 would be 17 OZ. Some players prefer a larger drop so they get around on the pitch. Max drop is -13 and commonly found with a 2 1/4 barrel at the 46/60 field size, and some 50/70 players. As players grow and get stronger the drop size reduces, to sizes like -10 (at 50/70), -5 (at 60/90). until they reach -3 BBCOR generally around 14u or HS. Construction - Bats are one piece, or two piece construction. Some new bats have a lower handle that turns as the player swings. Manufacturers claim two piece bats offer flex, and momentum during the swing. It is true that two piece bats can carry a premium price tag, and many better hitters use them. Materials - A bit more difficult to follow, and this is why we give you the bat check link below. Costs - Bats used in Rec at the TeeBall, Instructional and PeeWee leagues typically have retail list prices between $25-$75. TeeBall bats should not be used to hit real baseballs. Bats suitable for in Rec in Minors (3rd & 4th) typically cost retail about $45-$100, but you can easily spend more for a better bat at this level. Travel Players league eligible for 9 or 10u (46/60 field) will use better bats which will cost between $100-$200, or more. If you are playing at the 50/70 level (5th and 6th grades) and up, it is wise to invest in a good bat, which will start around $150 retail list prices, but the best bats will often have a retail list prices between $199 and $450. Some Good News about costs - Good deals can be found on a previous years model. It is common to find bats at 30%-50% reduction. Youth Bats are less cost than Senior League and BBCOR (used only at the older ages) are the most expensive. Big Barrel bats run higher than their same brand regular barrel model mates. Specialty stores sell bats all year long, often have clearance periods, and may also let you swing the bat, or have a demo area. Brands - It is impossible to list or rank brands, however here are some well known brands you can research typically used by local Mahwah players. Rawlings, Louisville Slugger, Easton, Demarini. Bat Size - 2 1/4 barrel - what does it mean when shopping ? Typically 46/60 fields and under only allow 2 1/4 barrel bats, and do not allow Big Barrel (2 5/8). 46/60 fields include Mahwah Minors Rec (3-4 grade) and most 8u, 9u and 10u leagues. Some 50/70 Travel Leagues allow Big Barrel Bats, but typically 2 5/8 (not 2 3/4). You will also need a 2 1/4 bat. Mahwah Majors 50/70 (5th and 6th grades) does not allow big barrel bats. 60/90 Players need to check each league and division rules. The goal of the Mahwah Youth Baseball Recreation program is to teach players how to play baseball in an environment that emphasizes fundamentals of the game, good sportsmanship and fun. Winning and losing are part of the game, but should never be the focus. The program is designed to promote and maintain baseball as a sport to be enjoyed in a safe and positive atmosphere. Rec Leagues: The recreation program is open to the children of Mahwah in kindergarten to eighth grade. The program is divided into leagues based on a child’s school grade during the season. Each division is governed by a league director. The job of the league director varies - depending on division - but basically entails assigning coaches and distributing practice and game schedules and rules to coaches. League directors also distribute uniforms and equipment to the coaches and communicate important dates throughout the season. In divisions for older children, the league directors coordinate a draft process to select teams, compile season standings and coordinate post-season tournaments. In divisions for younger players, the league directors assemble the teams from the registered players. Directors also work with coaches to reschedule make-up games when necessary. To Learn More about the Recreation program click the appropriate division, or download the Rec Baseball Overview. 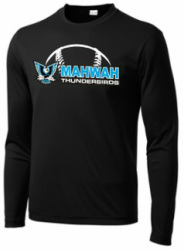 The Mahwah travel baseball program is organized by Mahwah Youth Baseball, which is part of the Township of Mahwah Youth Sports Boosters (TMYSB). TMYSB and Mahwah Youth Baseball are all-volunteer groups that work with the township of Mahwah to provide an opportunity for youth residents to play baseball on local fields and facilities. Mahwah Youth Baseball is headed by baseball commissioner who appoints a director to run the travel program. The organization follows the guidelines of the TMYSB. Your are required to try out for this league. Trying out means a commitment to both the spring and summer leagues. Travel players must play Rec baseball as well. Travel Leagues: Mahwah Travel Teams are split into 8u, 9u, 10u, 11u, 12u, 13u, 14u. You may follow the menu links on this page. The league age you qualify differs from our Recreation program. Although it may vary in some travel leagues, typically the age cutoff for the 9U through 14U levels of the spring and summer seasons is April 30 of the current year. Whatever age a player will be on that date is that player’s “league age.” A player who has a birthdate after May 1, can choose to play down (aka league age qualified) to the younger age group, or play with their classmates (sometimes called playing grade age appropriate). In any case a player can only play the qualified or grade age, or "up". You cannot play "down" below your qualified age. What Bats can you buy ? What Bats are Legal ? Youth coaches in Mahwah must be certified.